Naughty Dog’s now incredibly successful action/adventure series saw its apparent conclusion after the fourth entrance into the PlayStation exclusive series. With the movie release on its way; this is exactly why I think an Uncharted film is the appropriate way for the franchise to go. Uncharted is now synonymous for its huge Indiana-Jones like set-pieces, sprawling action sequences and mysterious landscapes. This, coupled with its cast of memorable heroes and villains; with the likes of Nathan Drake and Victor Sullivan making for some of the most interesting and entertaining protagonists in recent gaming history. This is clearly the formula for an exceptionally entertaining action film, and with ‘Uncharted’ set for a June 2017 release, fans hope that the outcome will be as good as their beloved franchise. Video-game movies are now infamous for being poorly executed, ridiculous messes that ultimately fail to capture even a modicum of what made the franchises they are based upon so special. The recent ‘Warcraft’ film, based upon Blizzard Entertainment’s World Of Warcraft; broke the trend of bad game movies, but there is still a fear among the community that Warcraft was likely an exception to the norm. By making Uncharted into a film, creators and owners of the Uncharted license are taking a huge risk. If the movie turns out to be just another poor video-game adaptation, it could prove a fatal blow for video-game film in general; as Uncharted is such a hugely successful franchise. 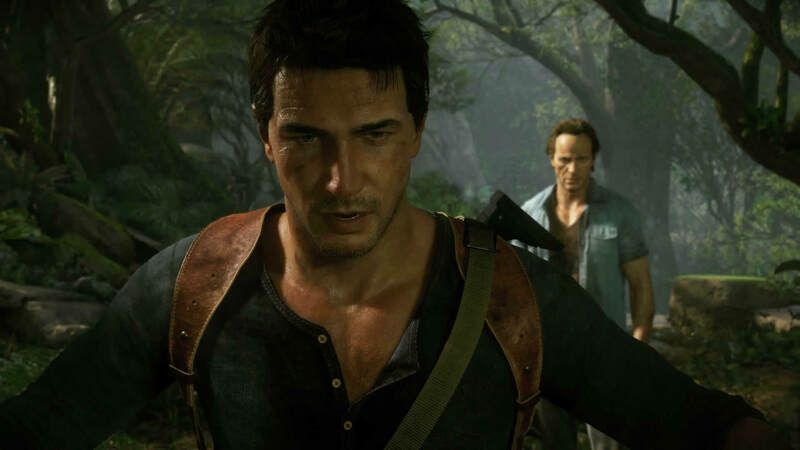 If the film turns out to be good, then it could prove that if done right, games such as Uncharted are almost beneficial for both the film and the games industry. The difficulty with making a video game film is that as a director/writer, you have to work with the confines of particular target audiences; and this is where I believe that video-game films stumble and ultimately fail. The director has to appeal to the fans of the game itself, adapt the source material so that it fits more into the layout of a conventional film-format, and appeal to people who have no idea what a game such as Uncharted even is, in order to attract film-goers in general. This is a hard task for a lot of filmmakers with most games. Mortal Kombat for example, struggled because it had to completely change the formula of the game in order to be seen as a functional film. This is where Uncharted, provides a filmmaker with much stronger and more appropriate source material to work with. All 4 parts of the Uncharted franchise play out very similar to films; with a hero going on an adventure to find something valuable, having to overcome numerous obstacles, compete with a competent and articulate villain, to then ultimately prevail at the end; with some twists and turns along the way. Uncharted therefore provides a platform for a filmmaker/director to explore an already appropriate story in order to potentially create something truly great, whilst keeping true to the game and appealing to film-goers, regardless of their affiliations to the game itself. With the cast and director yet to be confirmed, we can only wait to see what Nathan Drake and his rag-tag crew have in store for us on the big screen.